Categorise and listen your inner Marie Kondo - when going through all of your clothes and household items, go through each individual item and evaluate “do I really love this piece?” “do I really need it?” and bit by bit piles should be accumulated.I normally tend to make a “keep” pile, a “donate” pile and a “sell” pile or a variation of. Do your research - As much as donating to charity is one of the best options as they “divert an average of 29 tonnes per year of textiles from landfill’,sometimes if they have too much stock, if it’s not “saleable” or they don’t pass the test for a local clothes bank.They will send it to landfill anyway as they simply can’t keep up with the quantity of fast-fashion that they receive day to day.That said, if you can find smaller and more individual charity shops thus gives they more ability to sell your old clothes, normally there is one or two in your local town/city and these normally give back to the community too. Sell, Sell, Sell - This option is one that works both ways, as not only do your pieces get a new home but you also get the profits too. So for example sites like Depop, Vinted or Ebay are perfect for clothes.However, household objects are better on Ebay, or sites like Gumtree. Either way, you can either keep or donate the profits to a chosen charity.It’s a win-win! Friends and Family - When making piles I also made the obvious “friends/family” pile, because it’s always better if your pieces and items can go to a friend or family member, because if it’s still got the label on or been hardly used normally brothers and sisters are always open to it, if it’s not wanted anymore. 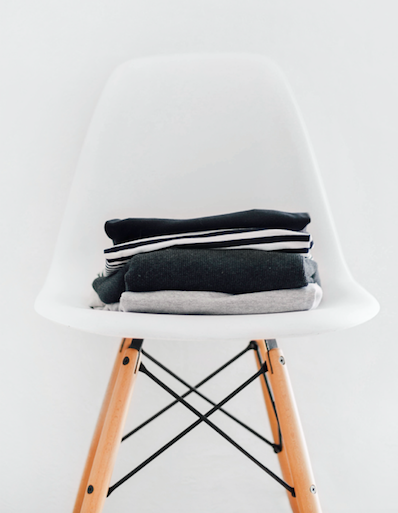 Other Uses - Sometimes there are other uses to your items.For example, your can turn old clothes, such as t-shirts into rags to be used around the house or even old towels can be cut up and just sewn around the outer edge and then used as flannels for taking makeup off or for your skincare routine, saving you buying them in the future. The process of decluttering for some is therapeutic or for others it’s hectic, I know I’ve definitely experienced both, but in the long run if your clothes or items can go to a new home, be re-sold or their use rejuvenated they will have a more sustainable journey than going straight to our landfill sites.